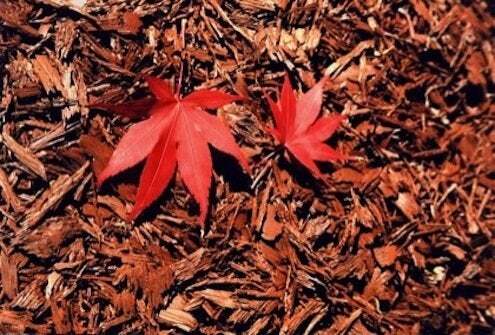 Autumn leaves are a gift to your garden that literally just falls out of the trees. Instead of getting rid of them all, put them through a leaf shredder or just run over them a few times with the lawnmower, rake them up and use them as fall mulch on flower or vegetable beds with a little fertilizer. You can add compost to them and turn them into the soil in the spring. Mulch protects the soil from erosion and helps it retain its moisture so you can water less frequently and roots grow deeper and healthier. It also keeps weeds down, reserving precious nutrients for your vegetables, flowers and shrubs so you don’t have to add as much fertilizer. You spend less time and energy weedwhacking and don’t need to use poisonous herbicides. After you’ve mulched everything once, you don’t necessarily have to spend a fortune every season on new bags of commercial mulch. As a matter of fact, be careful of mulching your garden with anything that attracts pests or contains dangerous chemicals, especially on vegetable gardens. Adding some organic material might be enough.